An unusually high number of chief executive officers left their positions in 2018. According to Christmas, Gray & Challenger, a whopping 1,452 CEOs departed their perches last year, representing a 24.2% increase from the year before. The number is the second-highest on record. The highest annual total on record is 1,484, which was during the 2008 recession. Retirement makes up the bulk of all CEO departures last year (27%), which has been a consistent trend in years’ past. Another 283 CEOs resigned from their positions, while 355 stepped down into other roles within the company, usually as a chairperson. Only 17.8% of publicly traded companies experienced CEO shuffles. The vast majority of departures were at private companies, including government and nonprofit organizations. "There's a lot of uncertainty as we begin 2019. While the job market is strong, with low unemployment and strong hiring numbers, the stock market is in near-constant flux; trade concerns loom in many industries, including manufacturing and technology; and the regulatory environment may change with a new Congress," said Andrew Challenger, VP of Challenger, Gray & Christmas. The top executives left the likes of Lowe’s (LOW), Mattel (MAT), J.C. Penney (JCP), Verizon (VZ), Dunkin’ Brands (DNKN), Goldman Sachs (GS), Constellation Brands (STZ), and Kimberly-Clark (KMB). 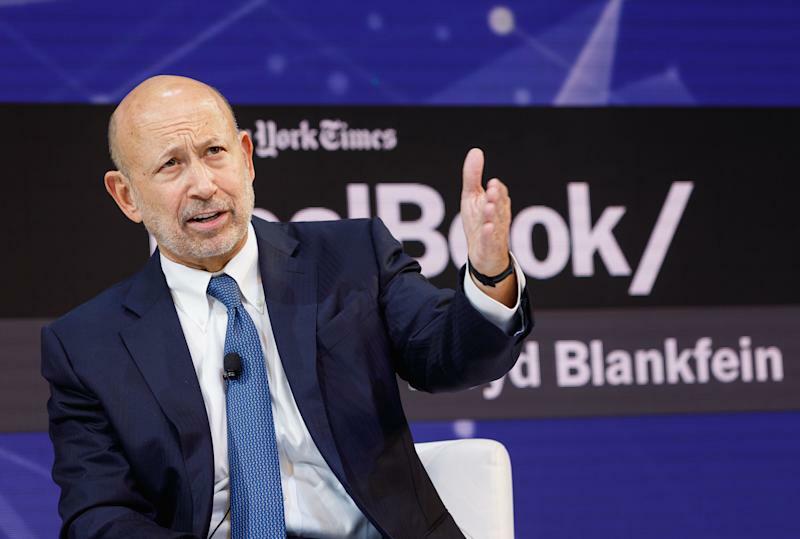 Household names like Goldman Sachs’s (GS) Lloyd Blankfein, Pepsi’s (PEP) Indra Nooyi and Aetna’s (AET) Mark Bertolini all left their posts in 2018. In December alone, a total of 129 CEOs left their posts, making it the highest quarterly number of departures at 425. The global outplacement firm first began tracking the count in 2002. The #MeToo movement is another contributing factor to the bump up in 2018’s departures. Boards are facing pressure to actually enforce company policies regarding allegations of misconduct. Eight CEOs left amid sexual misconduct allegations and another four left due to allegations of professional misconduct. Twenty-three CEOs were terminated by their boards, while 14 left amid scandal this year. The government/non-profit sector leads all industries in CEO turnover this year, with 276 departures. Financials and tech came in second and third with 154 and 152 changes, respectively.